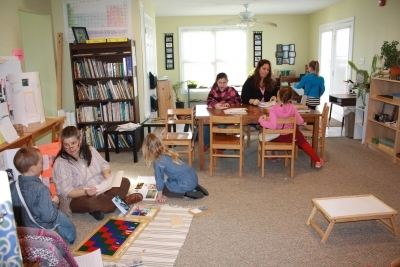 This program is uniquely designed to assist homeschooling parents. As an “aid to life,” the Three Morning/Three Day Academic program at John XXIII is uniquely designed to assist homeschooling parents to meet the academic and spiritual needs of their children at both the Primary (3-6 years) and the Elementary (6-12 years) levels. 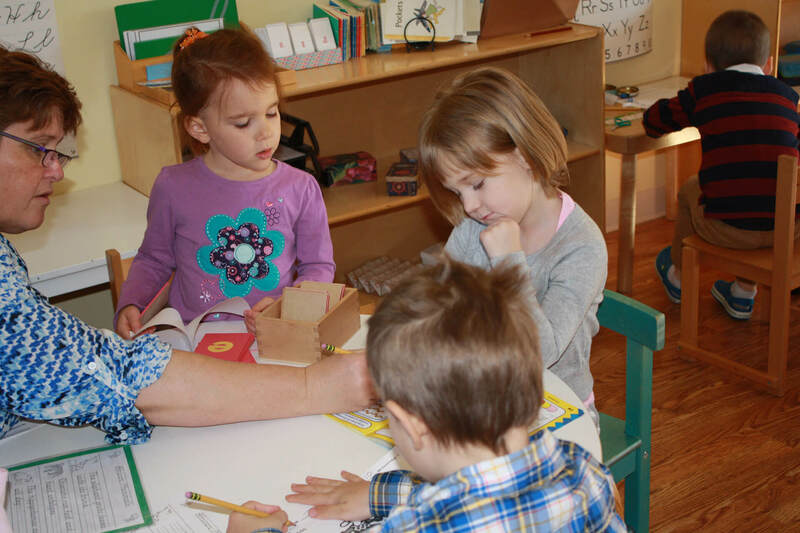 The Primary and Elementary programs offered by John XXIII provide a springboard for expanded learning options specifically tailored to suit the educational needs of the child at his or her particular developmental stage. 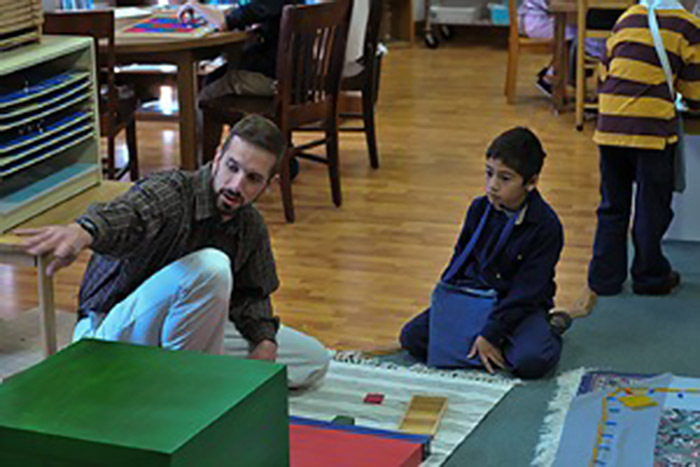 Adhering to Montessori philosophy that education should be defined by “helping the child to help himself,” the Center at John XXIII assists the family in a reciprocal relationship wherein children are assisted to realize their individual capacities. 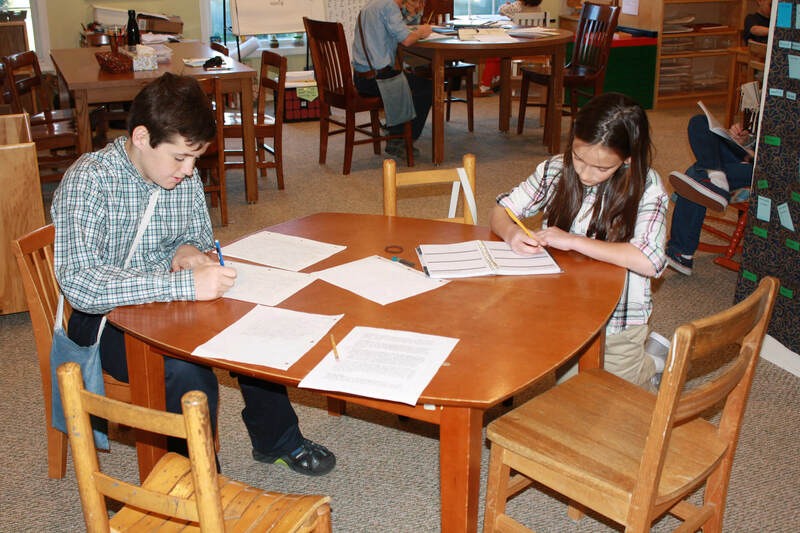 Our Directresses have been trained and certified by the Association Montessori Internationale (AMI) and/or the National Association for Catechesis of the Good Shepherd (CGS) as guides to the child’s self-directed learning process. 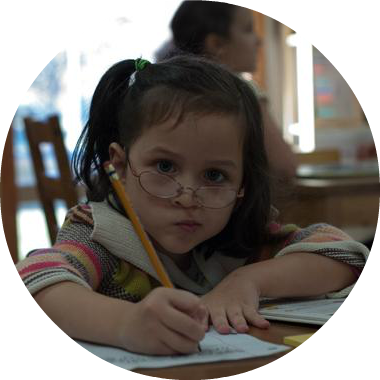 The expansion of language skills including vocabulary enrichment, phonics, reading, cursive writing, as well as development of the ability to articulate learned experiences and knowledge. Introduction to mathematical skills beginning with the basics of numbers and quantities, to the introduction of algebraic concepts through work with binomial and trinomial cubes. Physical, cultural as well as political Geography of our world. 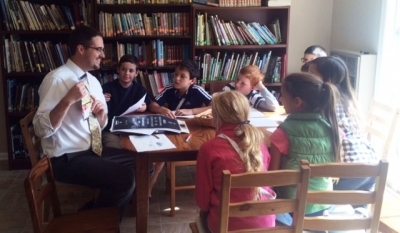 Religious education through the CGS Atrium program which includes but is not limited to: fostering personal understanding and relationship with God, Parables, Nomenclature of the Mass, geography of the Holy Land, and seasons and colors of the Liturgical year. The opportunity for even the youngest child to begin to experience culture through art, music and traditions of the different countries of the world. An opportunity for children of Kindergarten age to remain for the full day when exhibiting readiness for more advanced work. 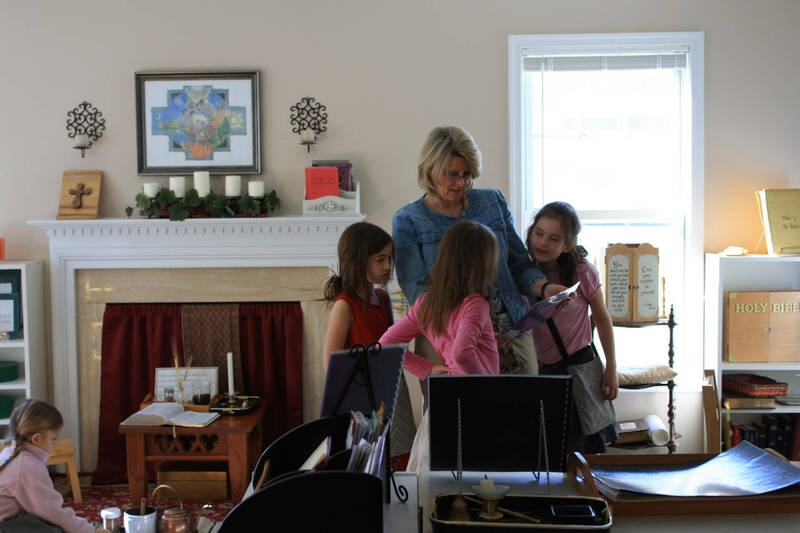 Development of etiquette and courteous behavior through demonstrations and modeling. Sensorial materials that offer the child an experience with key aspects of the physical world such as: sight, taste, touch, smell, dimension, weight, temperature, texture, pitch and tone. “Cosmic” education to wonder – a study of the whole universe, the history of life from Creation to present, prehistoric ages, ancient cultures, customs, peoples, and inventions which will inspire research, writing and art projects, and field trips to collect more information. Study of the natural world of minerals, plants and animals through geology, biology and botany, and exploration of these sciences through experiments. 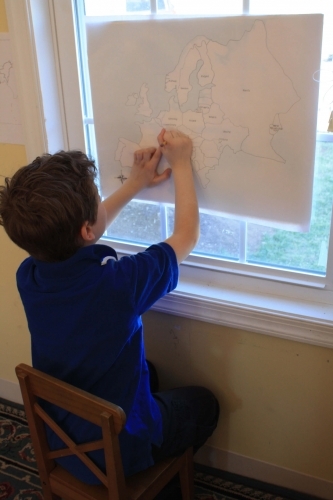 Cultural and political world geography through map-making, biomes, countries and capitals, flags, landforms and waterways. Guided research papers and projects inspired by lessons in history, science and the physical world. Children share the fruit of their research and practice public speaking skills through group presentations to which parents are invited. 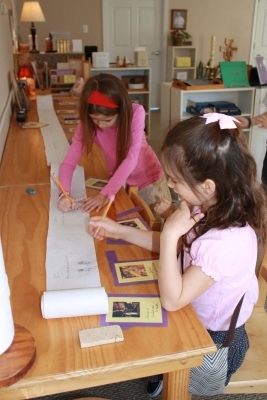 Child-led “Going Out” field trips into the community for further research. Leadership Conferences with guest speakers and projects to explore and encourage skills of peer and community leadership. Religion through the CGS Atrium program including moral formation through prayer and study of Jesus’ Maxims for living, Scripture study, First Confession/Communion meditations, New and Old Testament typology, history and customs of the Jewish people, Structure and content of the Mass, the Seven Sacraments, the Ten Commandments, geography of Israel with mountains, waterways and cities. Mathematical concepts as an aid to concrete thinking, visualized through hands-on materials including place value, long division, geometry, fractions, algebra and Pythagorean Theorem. Language areas of phonics, reading, grammar and parts of speech, word study, and guidance for creative writing & compositions. 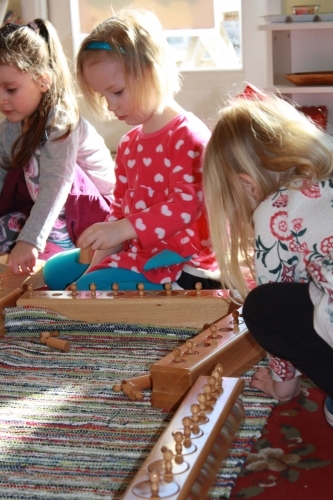 A Montessori program is based on three year cycles for completion (3-6 years, 6-9 years and 9-12 years). Lessons pertaining to the subjects listed will be offered during the three year cycle. Our three day format is meant to assist in presenting the child with a larger scope of work options while also augmenting, in particular, the work of homeschooling families. Children will be guided to work in all areas to reinforce as well as introduce opportunities for a well-rounded course of study within the context of the home and larger community of the child. 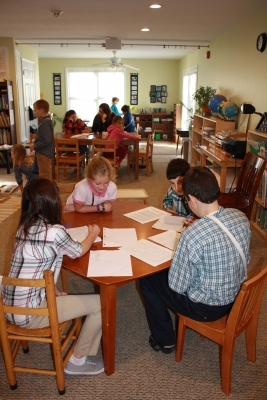 Due to the finite amount of time at the Center, in-home Math and English curricula are expected at the Elementary level.